Sugar cookies are the most fundamental of holiday cookies. Here is a recipe for people who have to avoid gluten. This easy recipe can also be adapted for stained glass ornaments or jam thumbprints. From Crazy About Cookies (Sterling, $17.95) by Crystina Castella. Combine the rice flours, potato starch, xanthan gum, baking powder and salt in a medium bowl and set aside. In a large bowl with an electric mixer, cream the sugars, shortening and butter until fluffy on medium speed. Beat in eggs, one at a time, and then vanilla. Divide dough into 2 balls, wrap in plastic and chill for at least an hour. Roll dough out to ¼ inch thickness on a work surface dusted with brown rice flour. Cut out with cookie cutters. Place on cookie sheets, 1 inch apart. Bake for 8 to 10 minutes until just golden. Transfer cookies to cooling rack and let cool completely. Makes about 20 large cut-out cookies. Combine all ingredients until blended. Add more water or confectioners’ sugar until tick and stiff. Divide icing into small cups or bowls and color with food coloring if desired. 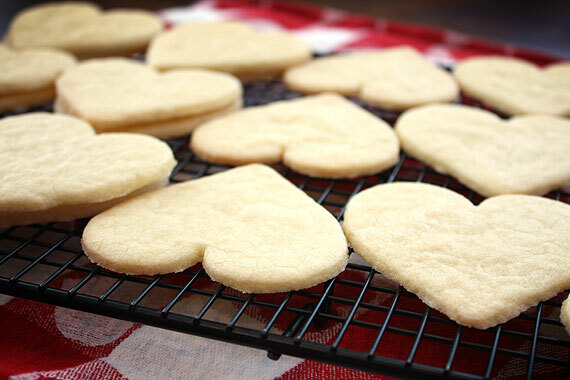 Use a new (and clean) small paintbrush to apply icing to cookies. You can wash the brushes in between colors. 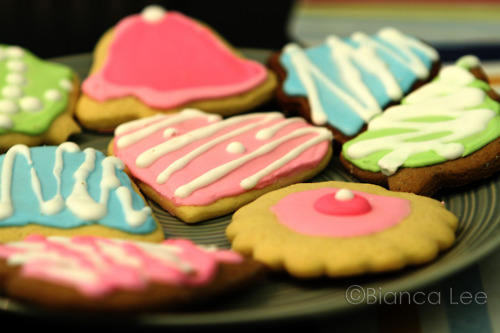 Add decorating sugars, nuts or other items to the cookie while icing is still wet. Ornaments: You can make “stained glass” ornaments to hang from your tree. Crush Lifesavers or other hard candies with a mortar and pestle. Cut out small shapes in the cookie. 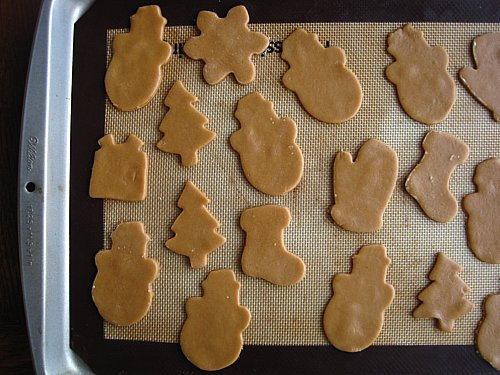 Place on baking sheet and fill cutout shapes with crushed candies. Bake cookies as described above. Allow cookies to cool slightly on baking sheet before moving to cooling rack. Decorate cookie with additional frosting if desired. Gluten-Free Jam Thumbprints: Shape the dough into 1-inch balls. Press each ball with your thumb to make an indentation. Fill with your favorite fruit jam then bake. To shape the cookies, take a slightly bigger ball of dough and press flat into a 1-inch cookie cutter. Push through the cutter to remove. Make indentation with thumb and fill with jam and bake. This entry was posted in Baking, Cooking, Culture, Recipes, Website and tagged Gluten free cookies, gluten free sugar cookies, GlutenFreePDX, holiday recipes, sugar cookies, sugar cookies gluten free on December 23, 2011 by glutenfreepdx.